As a Melbourne resident who is used to high-end private hospitals I was very pleasantly surprised at the treatment I received in this small rural public hospital. The facilities surround an established courtyard garden and the wards supplied everything I could have needed. I didn't get the name of every nurse but would like to thank each one personally. Their care was warm and thorough and I was left wanting for nothing. The doctor I was under was highly experienced, compassionate and had excellent bedside manner. When stressing about the upcoming discharge, a delightful lady named Terrie, the alcohol and drug nurse, seemingly worked night and day to arrange the next step in my treatment. A miracle worker, she found a second hospital in Melbourne that could take me directly from this hospital to their rehabilitation centre when there were seemingly no beds available. I'm leaving without a single complaint and could not be more pleased. I recommend wage raises all around! 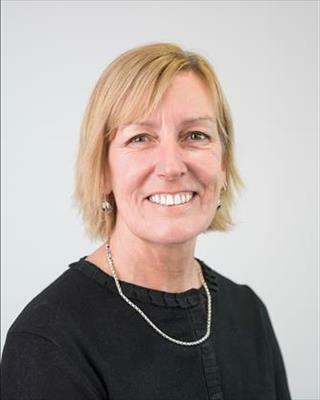 My name is Mandy and I am the Director of Nursing for the Sale Hospital at Central Gippsland Health. Thank you so much for your feedback and for taking the time to provide us with your story regarding your stay. I am pleased that you have received the care you required. It must have been daunting to be away from your home in Melbourne at this stressful time and I am glad that this experience was so positive for you. The staff work very hard to provide this service and as you have indicated, this includes the alcohol and drug nurse, the ward nurses, doctors, environmental services staff and many others. I will pass your story on to the various people involved and am sure that this will be very rewarding to them. Should you wish to discuss your story in more detail, I would be more than happy to talk with you. You can contact me on 5143 8602 or via email at mandy.pusmucans@cghs.com.au. It is great to know that our courtyard was a pleasant environment that added to your positive experience at our hospital. We want to put even more effort into our grounds and gardens in the future and have a plan to establish a community garden for patients who are able and would like something to work on while they are here. Our Engineering staff do a wonderful job of maintaining the gardens and our patients seem to appreciate the space to relax. It adds so much to their recovery journey and I'm glad it added to yours. Our nurses are very supportive of our detox patients and deliver a high quality of care and nurturing to such vulnerable people struggling with the complexities of addiction issues. I am so pleased to hear that we made your stay as pleasant as possible and we wish you the very best in your continued recovery. Have you experienced something like rainfz48 did, here or elsewhere?